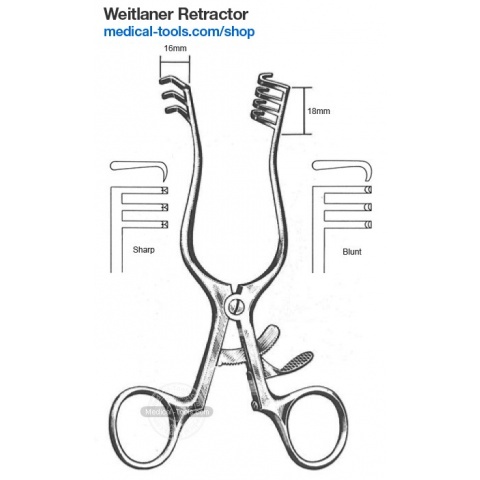 Handheld retractors are versatile tools and can be readily moved. 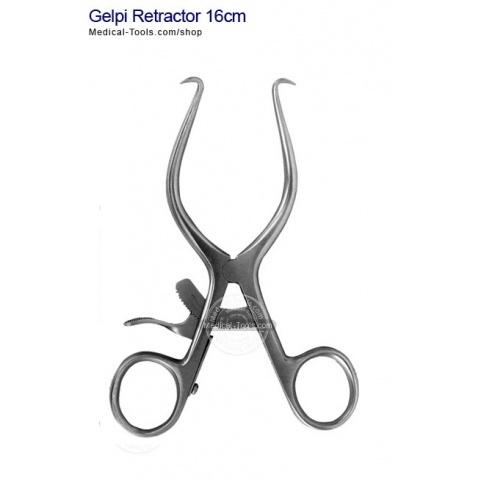 As these are handheld, the surgeon can apply as much or as little force as desired. 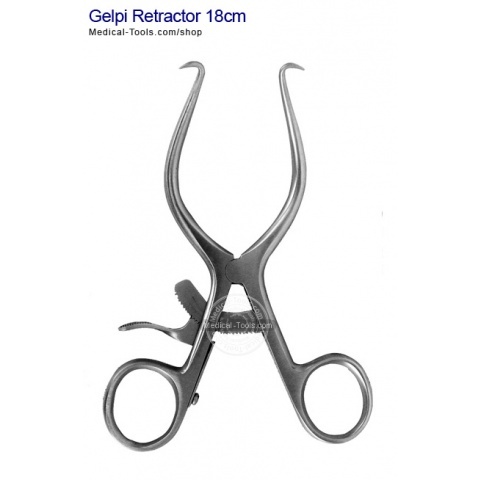 Medical Tools has a wide range of various sizes, blade lengths, and shapes. 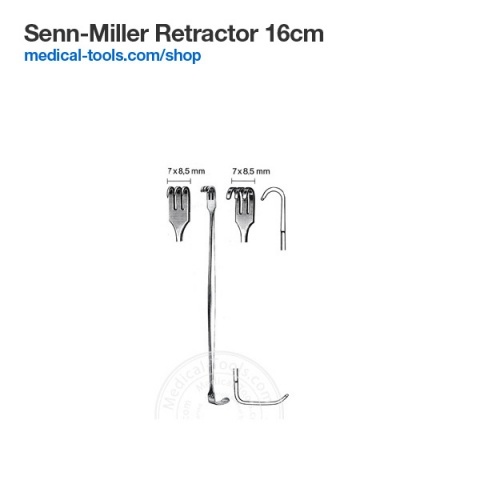 Examples of hand-held retractors are Deaver's, Langenbeck's, Kelly and Senn-Miller. 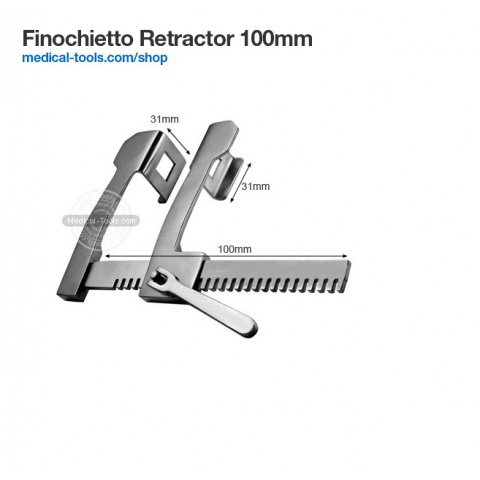 Self-retaining retractors remain open unless closed. 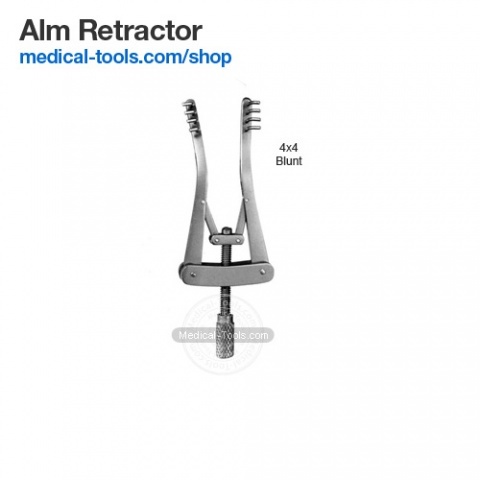 These have screws, ratchets or clamps which holds the retractor open. 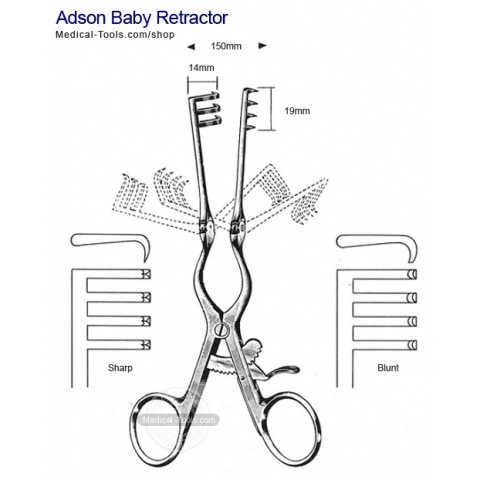 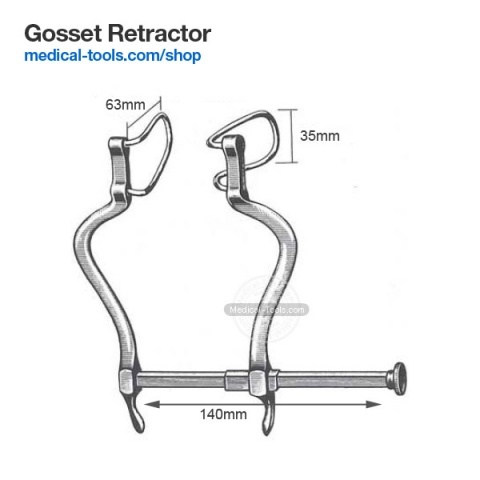 Self-retaining retractors allow hands-free operation during a procedure. 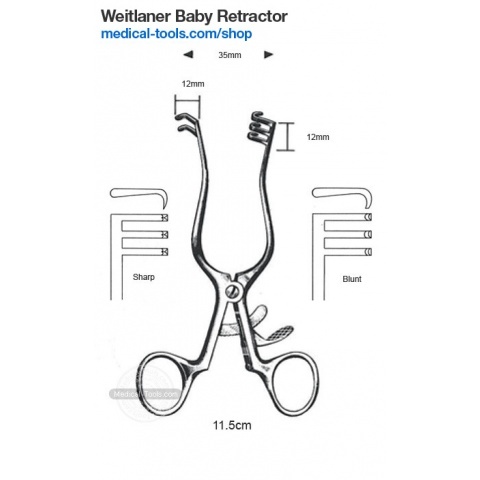 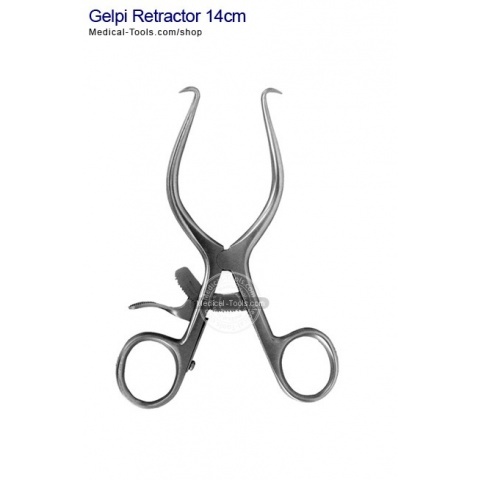 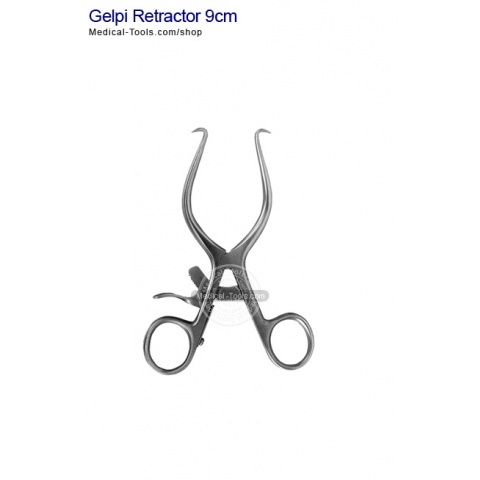 These retractors are used for the procedures where incision needs to be kept open for a longer period. 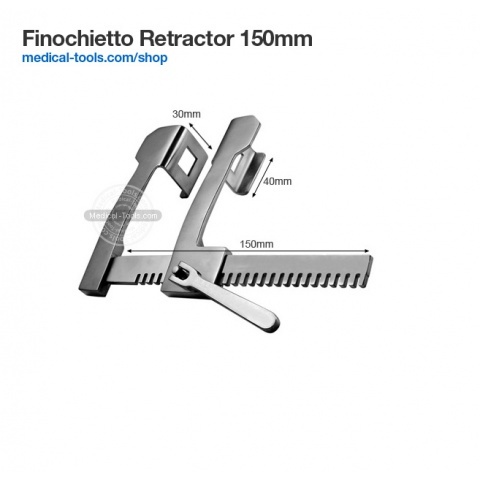 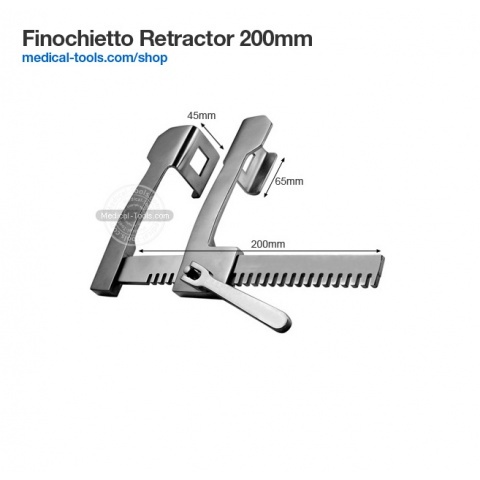 Examples of self-retaining retractors are Finochietto, Gelpi, Weitlaner and ALM retractors.